The 23rd Annual Tribute to Women of Achievement of Orange County was held at Anthony's Pier 9 in New Windsor, NY on Wednesday, May 13, 2015. 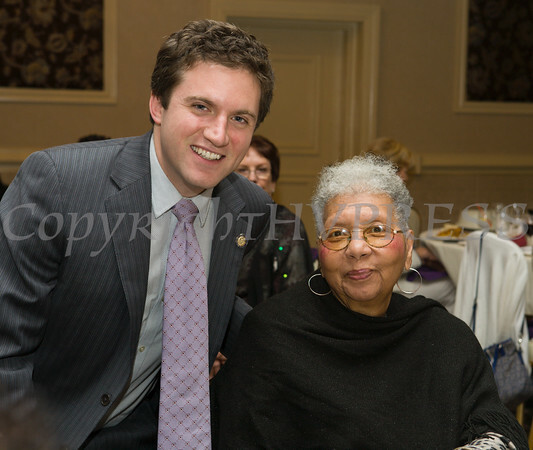 NYS Assemblyman James Skoufis with Sadie Tallie, recipient of the Bobbie A. Lahey Alumnae Award for Volunteer Services, at the 23rd Annual Tribute to Women of Achievement of Orange County at Anthony's Pier 9 in New Windsor, NY on Wednesday, May 13, 2015. Hudson Press/CHUCK STEWART, JR.